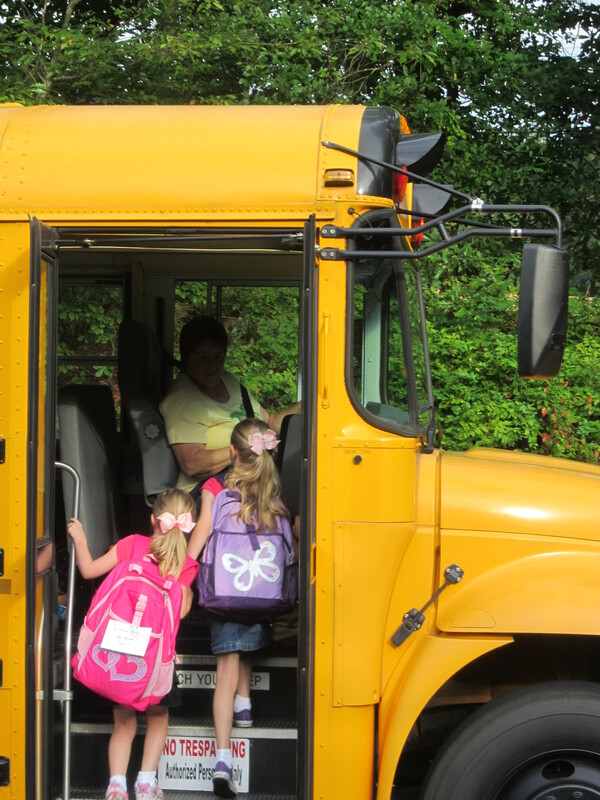 Maybe it’s March, but I still felt a little sadness when my first and second grader stepped onto the school bus this morning. It makes sense how I cried that first time my “babies” went off for a whole day of school or even how I miss them that first day after summer break. But it’s three-quarters of the way through the year and still it hits me: how tall they are and how beautiful, how the school year is almost over and they are learning so much (“Mom, do you know some deserts receive as little as 1 inch of rainfall?”). I’m so blessed by their school, so thankful that the teachers and staff bring out the best in them. It’s just that time with these girls is so precious; sometimes I forget, today I remember. Maybe it’s on my mind this morning because on Sunday I sat in a darkened auditorium, snuggled up to my daughters (this one in my arms, that one resting against my shoulder, another by my side). We watched my husband portray a Confederate officer in 1860’s Virginia on the stage. The actors told a story of a family in a war, men writing to mothers and wives, women writing to husbands and sons, and they were lonely, scared, confident, and worried about household things and the end of life as they knew it. Somehow it was a story about a War that was really more about a family. Then at the end of it all, in a southern drawl, my husband said: “May we never again take for granted all the blessings God has given us: the love of family and friends; the beauty of the work around us; the sanctity of life; and the endless opportunities we have each day to make things right” (When Peace Again Shall Smile, by Catherine Witty, adapted from letters from the Taliaferro family of Gloucester Virginia). You learn these lessons when life is tragic and hard and you might lose everything. But today, in the middle of the mundane and ordinary, I’m thinking about to-do lists and how they always tell us what we’re doing, but not who we’re doing it for. I’m thinking indeed about that love of family and friends, the beauty of the work, the holiness of the life. I sweep through my house, scrubbing down the sinks, emptying trash cans, rinsing out cereal bowls and filling the dishwasher, stripping down the sheets for washing day. That’s never how a to-do list sounds, after all. It would take all day just to write out a list like that. Besides, what never makes it on the to-do list at all are sometimes the most important things. Like a three-year-old running through the house scared in the early hours of the morning and snuggling up close for safety….or conversations on the ride home from school….or connect-the-dot-pages….or listening to piano practice. Our to-do lists might be necessary beasts, helping us at least accomplish something and keeping ourselves slightly sane in the midst of it all. Yet, today I’m thinking “off book,” and that maybe if I thought more about who I’m serving instead of just what I have to do, it’d keep all this life in perspective. I do this in love. These acts are showing I care. This I wash, this I fold, this I pick up because I love and because I am loved. I show grace because I just need so heaping much of it. Didn’t God always keep the people in mind and not just the task? I have indeed seen the misery of my people in Egypt. I have heard them crying out because of their slave drivers, and I am concerned about their suffering. So I have come down to rescue them from the hand of the Egyptians….So now, go. I am sending you to Pharaoh to bring my people the Israelites out of Egypt.” (Exodus 3:7&10). And Jesus, our Savior, didn’t come because theology made His to-d0 list, not doctrine, or the need to check off a box on a divine agenda. And he took bread, gave thanks and broke it, and gave it to them, saying, “This is my body given for you; do this in remembrance of me (Luke 22:19 NIV). It was for them….it was for us. This day remember all that you do is done for another—for a friend, for family, for others, for a Savior who gave so much to you. Beautifiul. Thank you so , much.